Serramonte Ridge Apartment Homes is a charming luxury apartment community located in Daly City, California, south of San Francisco. We offer unique studio, one, and two bedroom apartments for rent with spacious interiors. Enjoy a renovated kitchen including stainless-steel appliances, new espresso or white cabinets, countertops, and fixtures. Also appealing is our extensive collection of community amenities. 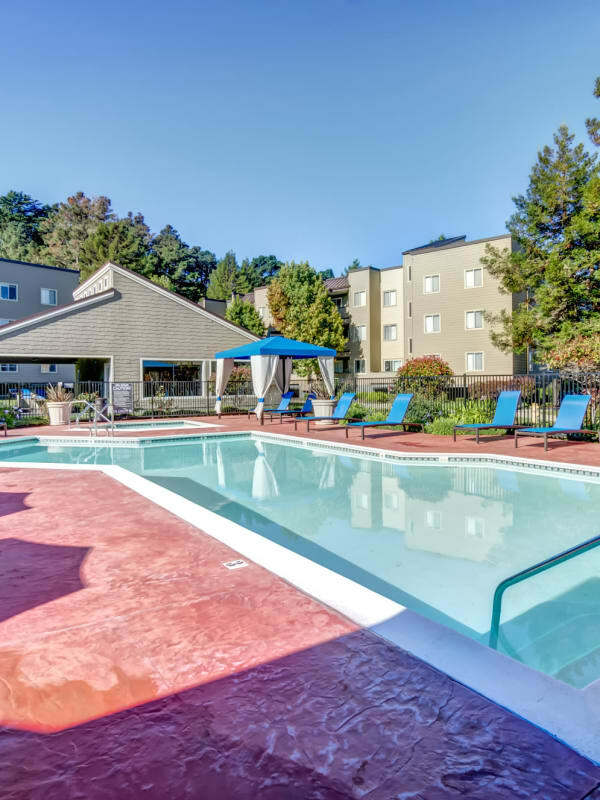 A heated swimming pool, two spas, covered outdoor BBQ area, fire-pit lounge, and a state-of-the-art fitness center are among the many resort-like amenities we offer on site. Other conveniences include card-operated laundry facilities and a Bark Park perfect for exercising your pet. Although there are many attractive features of our community, perhaps none is more convenient than our location. We are within steps of public transportation on Hickey Blvd near Cabrillo Highway. Serramonte Ridge Apartment Homes is also near Serramonte, home to excellent shopping, dining and entertainment. Learn more about how our luxury apartments can help you take care of life’s daily necessities. Give us a call to schedule your tour.